Luxury queen sized beds, a comfy seating area and a dining table with chairs come in addition to the newly remodeled kitchenette area. 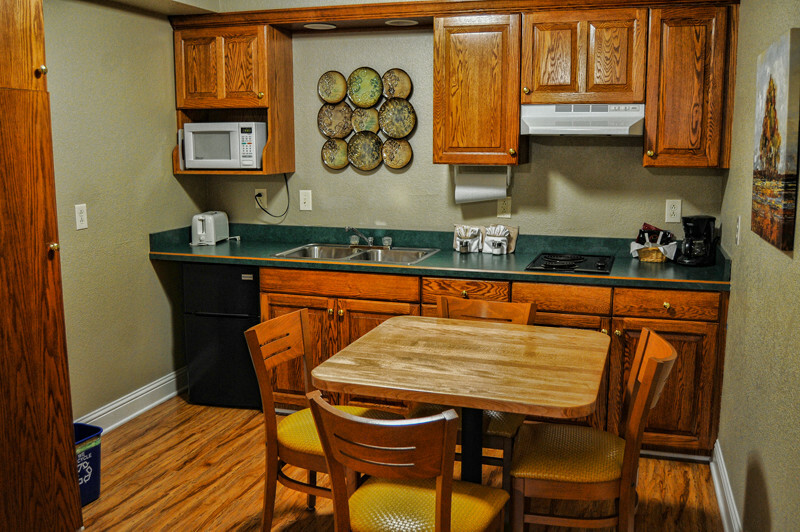 In the kitchenette you will find a microwave, stove-top, refrigerator and freezer, sink, and coffee maker. 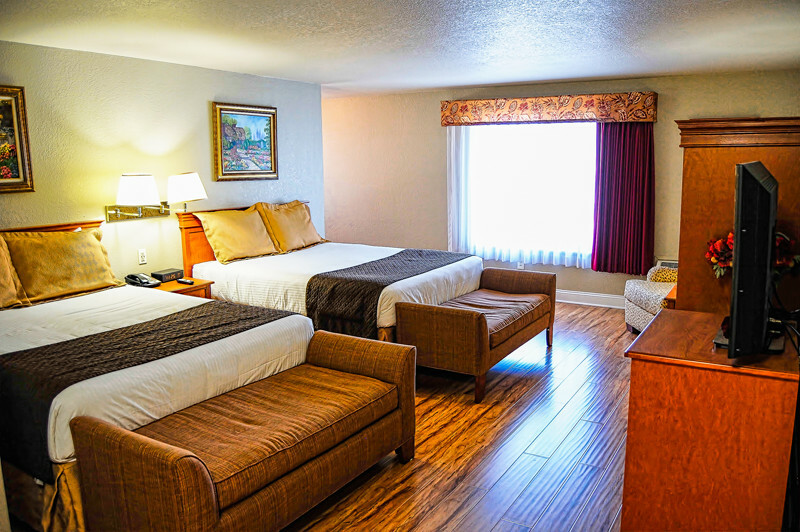 Pots and Pans included, welcome to your home away from home! 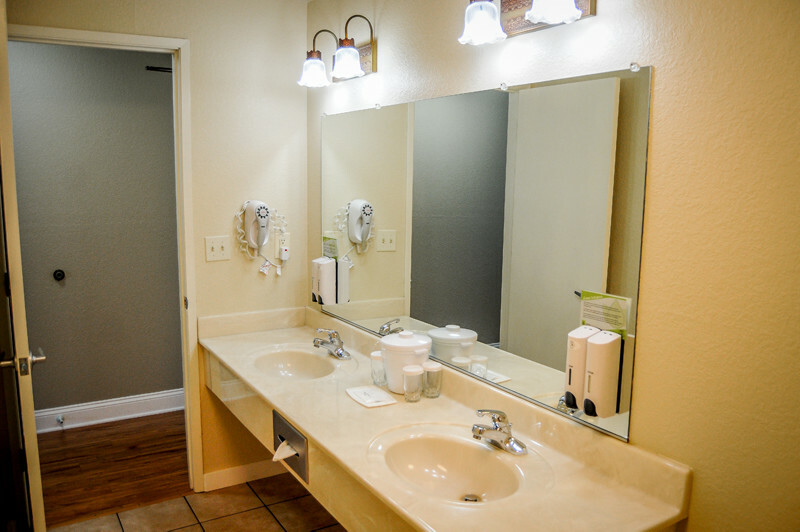 Enjoy plenty of room with his and hers double sink bathrooms. 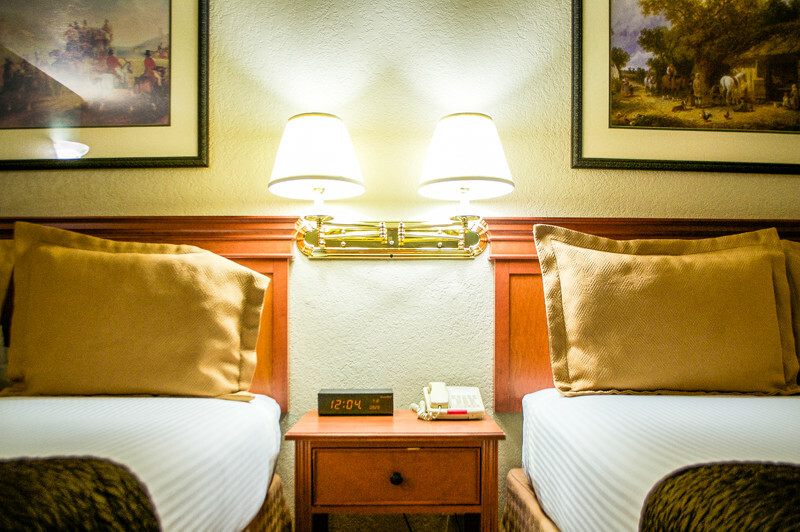 Sleep soundly in one of the two queen beds available in this standard room.